Why PADI | Kg. Genting, Tioman Island, Malaysia. PADI certification cards are the most respected and sought after scuba credentials in the worldPADI Divers carry the most respected and sought after scuba credentials in the world. No matter where you choose to dive, your PADI scuba certification card will be recognized and accepted. In fact, on most scuba diving adventures you’ll be surrounded by other PADI Divers who made the same certification choice you did – to train with the world’s largest and most respected scuba diving training organization. With more than 133,500 PADI Professionals and more than 6,000 PADI Dive Shops and Resorts operating in more than 180 countries and territories, you will likely find a PADI Scuba Instructor who can speak your language and offer you a comfortable learning experience. To serve the needs of divers worldwide, translations of PADI materials are available in at least 26 languages. PADI’s Scuba diving educational manuals have helped millions of people learn scubaChoosing scuba education is a personal experience. You want to feel comfortable with your scuba instructor and their philosophy of teaching. PADI scuba lessons and continuing diver education courses are designed to make learning enjoyable and worthwhile. Under the guidance of your professional PADI Scuba Instructor, you gain confidence while mastering important safety concepts and skills. Educational MaterialsYou pick up key information as well as helpful tips by interacting with PADI educational materials – online scuba programs manuals, videos, workbooks, multimedia discs, etc. Credentialed instructional designers use state-of-the-art technology and learning theories to create PADI materials with you, the student diver, in mind. Learn at your scuba diving at your own speed with PADIPerformance-Based LearningThis means that you progress as you demonstrate that you have mastered specific performance requirements essential to becoming a scuba diver. Your scuba instructor is there to help you meet these requirements, regardless of how quickly or slowly you master them. You must earn your PADI certification, but you do so in an encouraging and well-supported learning environment. Continuing Diver EducationThe fun and enjoyment of being a confident scuba diver who dives regularly is fueled by improving your scuba skills through continued education. You’ll find more than 25 PADI specialty courses like wreck diving and night diving to help build your knowledge and skills while pursuing your Master Scuba Diver rating. Plus, you can live the scuba diving lifestyle by becoming a scuba instructor. Experience the joy of a fulfilling scuba career as you expand your scuba diving experience. Certified PADI scuba divers exploring a coral reef in Cozumel, MexicoAll PADI programs, entry-level through scuba instructor training, fall under strict educational standards monitored for worldwide consistency and quality. PADI takes a proactive approach to quality management and randomly surveys PADI Divers to confirm that their courses met PADI’s high standards as well as the divers’ expectations. No other diver training organization works to maintain this level of professional reliability and integrity. PADI’s commitment to a quality assurance process helps continually improve customer satisfaction. Learn to scuba dive with your friends! Just as scuba divers must earn PADI certifications, PADI Scuba Instructors must complete a development program that sets the industry standard for scuba instructor training. Each new PADI Scuba Instructor demonstrates a thorough knowledge of the PADI System and the ability to conduct PADI programs by meeting specific criteria. Before earning the PADI Scuba Instructor rating, all candidates are evaluated by a select group of PADI-employed Instructor Examiners. This ensures that the evaluation process is objective, fair and consistent worldwide. This is just one of the ways PADI training stands above others in the industry. Your underwater adventures begin in your entry-level course and grow as you explore new dive sites, use new scuba gear and try different types of diving, like night diving or wreck diving. Providing the education, equipment and experiences you want and need, your PADI Dive Shop or Resort supports your diving and helps you truly live the scuba diving lifestyle. You can tap into more than 25 specialty diver courses that allow you to focus on your areas of interest. You can progress up through PADI Rescue Diver on to PADI Divemaster and put your scuba skills to use assisting other divers, or aim for the elite PADI Master Scuba Diver level – diving’s ultimate non professional level scuba diver rating. The PADI System of diver education allows you to continue your dive education for a lifetime – even after you become a PADI Scuba Instructor – a vocation or avocation that provides a fulfillment few careers can match. As a PADI Diver, you become part of the larger PADI community. In many parts of the world, you can join the PADI Diving Society, an organization made up of dive enthusiasts of all ages and experience levels. The PADI Diving Society keeps members informed on the latest developments in dive news, technology and training and offers members savings and incentives on all of the things you need to stay active and involved in diving – including dive travel, equipment and training. This online scuba community is built just for anyone interested in scuba diving. Through it, you tap into the experiences of other divers around the world, share your personal dive experiences, track your dive education and maintain records of your scuba equipment purchases. The worldwide PADI organization is committed to preserving the aquatic environment for future generations. PADI courses encompass Project AWARE’s environmental awareness and protection philosophy. Throughout every PADI scuba course, you’ll learn the importance of protecting fragile aquatic ecosystems and are encouraged to become involved in conservation efforts. As a PADI Diver, you join millions of others to form a growing force that can and does make a difference in the effort to preserve the underwater world. PADI Americas officeNo matter where you are in the world, PADI is there to support you. 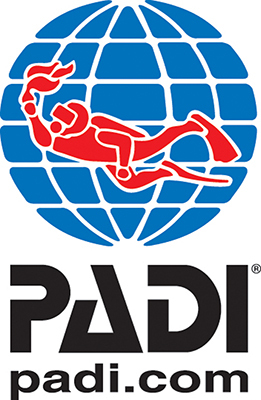 The PADI Worldwide group includes seven service offices, some of which are wholly owned subsidiaries. Others are licensees. PADI Worldwide manages the long range planning and global marketing for the organization, while the officers, managers and staff at each PADI Office conduct the day-to-day business activities that support PADI programs and provide services to PADI Members. PADI Members influence corporate decisions by sharing their opinions through advisory boards, one-on-one contact, group meetings, member seminars and responding to surveys sent out by PADI Worldwide or PADI Offices.